My new job means lots of new things, but it also means that I have to leave the house earlier. I’m not one to give up sleep, so I’ve been applying the majority of my makeup on the move as of late – if I’m sat on a train, why wouldn’t I use that time to make my face look slightly more presentable? A welcome addition to my handbag is the Stila perfect me, perfect hue palette – it’s really compact, and comes with five shadows and two blushes so it gives enough variety for everyday but saves a lot of space in my makeup bag. I just love Stila, and their powder blushes are a pleasant surprise – very nice. 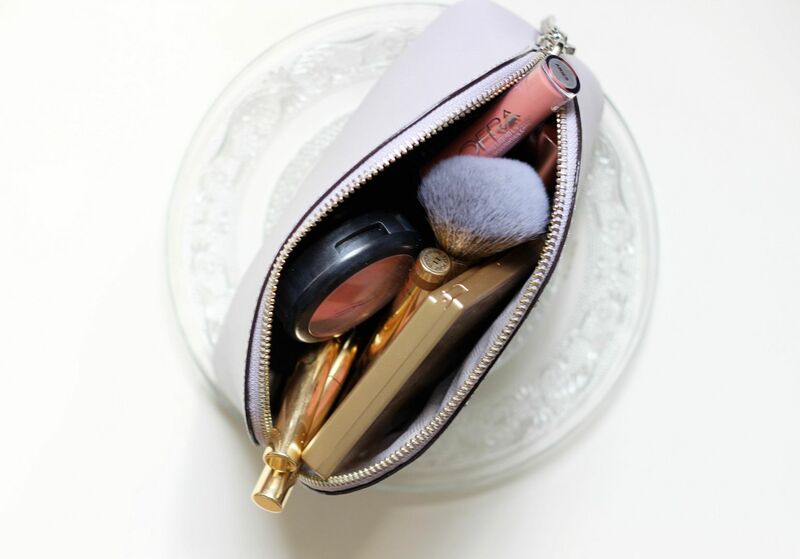 Another space-saver is the Look Good Feel Better mini blush brush – it’s so dinky! It’s just their regular brush, shrunken down to borrower size. Cream shadow sticks are definitely the way to go – you can just scribble all over the lid and then have an effortless eye look in seconds. 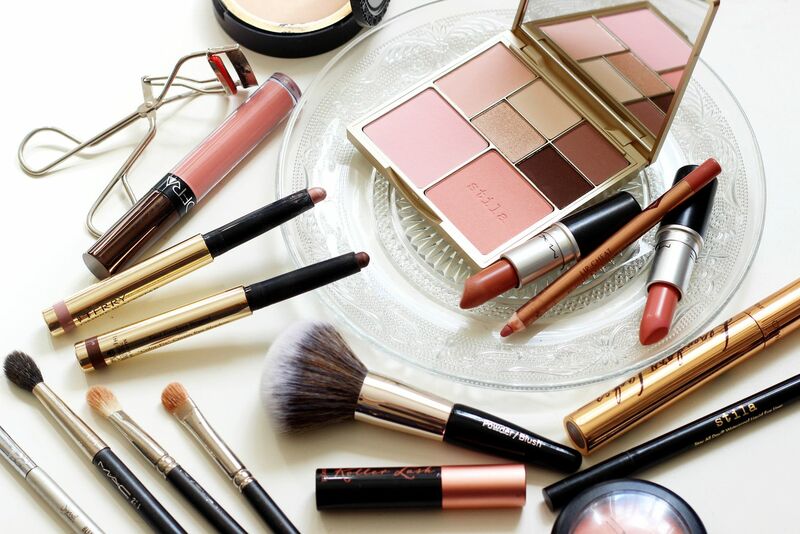 My favourites are the By terry ombre blackstars, especially brown perfection and frozen quartz, but I also like ones from Kiko and Charlotte Tilbury. On top of that I use a sweep of shadow from the Stila palette, to add some more sheen. I like to do my mascara when I’m stationary, because I just don’t want to poke my eye. Call me crazy.